Developer(s): Naughty Dog; Mass Media Inc. Box Text: THE DYNAMIC DUO IS BACK! Three PS2 classics return, now remastered in high definition, stereoscopic 3D and with full PlayStation Network Trophy support. 06-01-2016 telly Box Text THE DYNAMIC DUO IS BACK! Three PS2 classics return, now remastered in high definition, stereoscopic 3D and with full PlayStation Network Trophy support. 12-16-2012 artikskarab Box Text THE DYNAMIC DUO IS BACK! Three PS2 classics return, now remastered in high definition, stereoscopic 3D and with full PlayStation Network Trophy support. 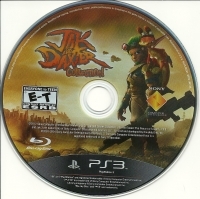 This is a list of VGCollect users who have Jak and Daxter Collection in their Collection. 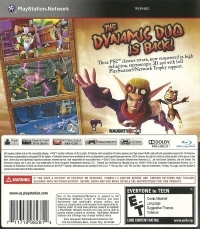 This is a list of VGCollect users who have Jak and Daxter Collection in their Sell List. 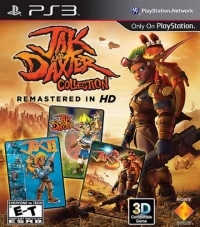 This is a list of VGCollect users who have Jak and Daxter Collection in their Wish List.